Columbus Crew SC promotes responsible drinking and positive fan behavior at MAPFRE Stadium. The Nordecke Fan Code of Conduct and details of the Crew SC alcohol management plan that appear below ensure that fans have a safe and fun experience. The Nordecke Code of Conduct exists to ensure and maximize the enjoyment of Columbus Crew SC matches for everyone in attendance. The Nordecke is a supporters section. We pay attention to the match, wave flags, and participate in chants and songs, and we do this while standing for the entirety of the match. We want our stadium to be the most difficult place for opposing clubs to play in all of Major League Soccer, and this is how we can all make that happen. There is no place for hate in our soccer stadium. We will not tolerate unnecessary negativity or bigotry toward fans, players, staff members, or referees in any capacity. Ushers, ticket takers, and security staff members aren’t our enemies; they simply want us to have fun while staying safe. We respect requests when it comes to stadium policies and rules. If you feel that you’ve been treated unfairly, report the incident to a section leader or directly to Dan Lolli – the situation will absolutely, positively be addressed as quickly as possible. 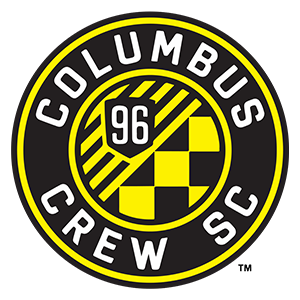 We actively welcome new supporters of Columbus Crew SC, and we are passionate about sharing our supporter’s mentality in a positive manner. We encourage those around us to become involved, we share our flags and banners, and we help others learn our chants and songs. No matter how you feel during the match, it is never acceptable to throw anything onto the field. This is true of entering the field of play as well. This is not how we show our support for Crew SC. Our sole purpose is to support Columbus Crew SC. Creating or participating in a physical or verbal altercation will never be tolerated. If you start or participate in a fight, you will be removed from the Nordecke. Those who fail to abide by the Nordecke Code of Conduct, as determined by stadium management, may be ejected from the facility, subject to arrest, and/or banned from further events. Group disobedience will result in a loss of privileges and rights for the entire Nordecke area. Purchasing alcohol is a privilege, not a right in the State of Ohio and MAPFRE Stadium. Valid I.D. is required for purchase. All guests must be 21 years of age or older to purchase or consume an alcoholic beverage. There is a 2 (two) alcoholic beverage limit, per person, per identification. Alcohol service may be discontinued at Stadium or Concessionaire’s discretion. Alcohol service ends at the 80:00 minute mark of all Crew SC matches, except in designated locations. Designated drivers who make this pledge at Columbus Crew SC home games receive a free soft drink and are entered into the Major League Soccer Responsibility Has Its Rewards Sweepstakes.